I have a plant that I have no clue what it is...please help to identify. We need a pic or description. I can't tell, is that little green fruit? It's of the Solanaceae family. Just going by the flower. 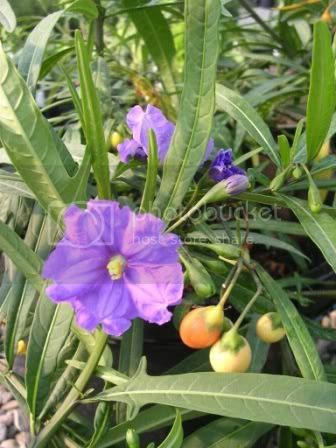 It's called Solanum Aviculare, these are rare plants that's why you can't always see them anywhere and yes, it's of the Solanaceae family.